Is A Takeover Of Humanity By Robots Linked To Alien Technology Happening Now? 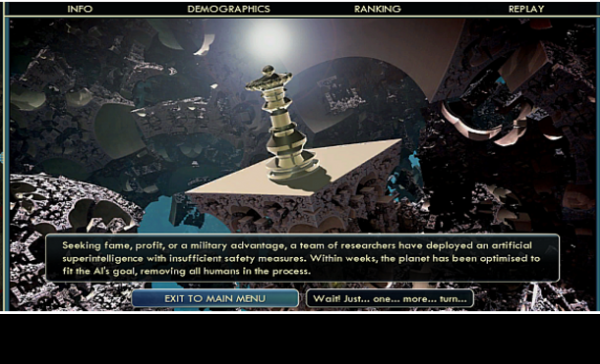 Back in January, Newsweek reported that scientists from the University of Cambridge's Centre for the Study of Existential Risk had created a modification to the classic strategy game "Civilization 5" which used a scenario in which "smarter-than-human A.I." is introduced into society. As the Newsweek story reported, the A.I. introduced soon thereafter 'takes over' and completely wipes out humanity. 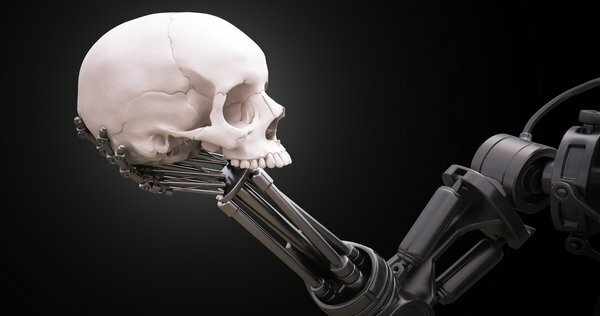 While professor Stephen Hawking once warned that A.I. will be “either the best or the worst thing ever to happen to humanity”, the Newsweek story also reported: "Unfortunately, by the time we find out which, it may already be too late." Then going on to discuss the video game simulation which offered us clues as to what we might expect in the future with the world rushing break-neck speed into what we cannot possibly fully understand, their story briefly explains why the globalists rush towards their perceived 'utopia' can lead instead to 'cataclysm'. While most people around the world are happy to allow artificial intelligence to creep into their lives as they believe it will make their lives 'easier', others such as Stephen Hawking and Elon Musk have warned they fear A.I. will instead lead to the destruction of the human race. 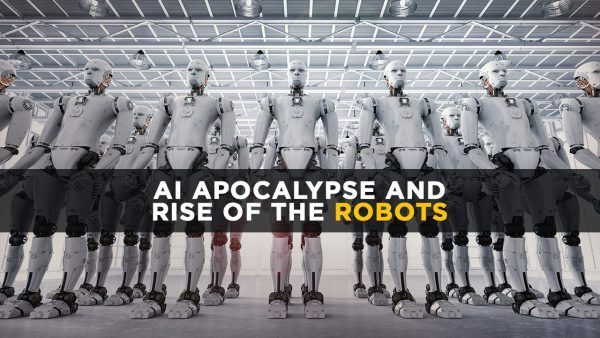 As the NY Post reported back on December 28th of 2017 in their story titled "5 terrifying stories that warn of an AI apocalypse", "the future of artificial intelligence could save humanity — or destroy it." And after outlining some of the advantages that A.I. is bringing to society, they then warn "but the civilization-destroying potential of AI makes it a greater threat than a savior." 1) Robots can pretend to be you. In May, the Canadian startup Lyrebird unveiled their voice-copying technology. The “Mission Impossible”-style program can learn and mimic your voice using just 60 seconds of you speaking. Placed in the wrong hands — like those of an AI overlord — the tech could easily be used against someone, to convince them to go somewhere or scam them out of money or personal property. 2) A.I. can read our minds. Scientists at Carnegie Mellon developed an AI that can anticipate and predict human thought. The software was trained using fMRI brain scans, which observed the patterns of brain activity that create a thought and then predicted them by working in reverse. Once the robots know what we’re thinking — they’ll know how to defeat us. 3) A.I. can MASTER anything. What can take humans a lifetime can take AI a day. In December, Google announced that their AlphaZero AI only took four hours to develop a “superhuman performance” in chess. The AI is the culmination of years of research that began with a different AI program learning and mastering the Chinese board game Go. Except that AI learned Go through watching humans play — while AlphaZero mastered chess by teaching itself. One of Google’s supercomputers created its own “AI child” that proved more advanced than anything humans have ever engineered. The AI, named NASNet, becomes smarter through “reinforcement learning.” NASNet repeats tasks thousands of times and reports the effort back to its parent AI. Currently, the young AI can watch videos and recognize cars and people. NASNet is 82.7 percent accurate at predicting images, meaning it’s “outperformed all other computer vision systems,” according to Futurism. 5) Elon Musk is convinced we're doomed. The Tesla and SpaceX founder has been relentless in warning humanity that we’re definitely screwed. According to speaker Linda Moulton Howe as heard in the eye-opening only video just below, while the mainstream media will never admit it, a takeover of humanity by artificially intelligent robots linked to 'alien technology' is happening right now upon our planet. With much of what we're now shown as 'emerging technologies' actually far behind what the 'gatekeepers' really know, could 'artificial intelligence' somehow be tied to 'alien technology' due to what Linda and others have claimed has been aliens visiting our planet Earth since as far back as 1947, if not hundreds or even thousands of years before then? We've long believed that much of what is 'reality' is completely classified and covered up, and in a near-future story on ANP, we'll be taking a look at "How President Trump Can Red Pill America" by declassifying certain things, so can we completely dismiss the argument being made by Linda that artificial intelligence is partially 'alien technology'? Others believe alien technologies have been around for a very long time and in fact, may have been used by the globalists to 'create' global leaders such as British Prime Minister Theresa May, French President Emmanuel Macron and German Chancellor Angela Merkel (none of whom have their own children as even the Washington Post reported back in 2017!) Might those 'created in labs' be unable to produce their own offspring? As the Post story pointed out, President Trump has more children than ALL of the other leaders of the G-7 combined! And while the thought of 'cloned' global leaders might sound crazy to some, and we certainly wouldn't bet our last dollar on the chance that theory is correct, the Nazi's were experimenting with cloning at least as far back as the 1940's with even the NY Post publishing this 2009 story titled "Village Of The Cloned" referencing Josef Mengele's work. And with China now producing gene-edited babies and cloned monkeys, can anybody prove that such technologies now being openly used haven't actually been around for a very, very long time, and possibly 'alien' as original source? We'd love to see POTUS declassify UFO documents and anything else related to long hidden technologies, such as Nikola Tesla's work. And as Steve Quayle warned back in October while linking to this story over at Skywatch TV titled "HORN'S MILIEU CORRECT: The A.I. "Ghost In The Machine" Is A Monster Just Waiting To Be Unleashed", "substitute the word demon possessed and controlled machines and you see the future war, against humanity". And with that war possibly being carried out via the use of 'alien technologies' which are being called 'emerging technologies' by the 'gatekeepers', 'pandora's box' has clearly been opened with no possible way to contain what happens in the future with robots able to create other robots being just the leading edge of what's to come.